One might think that emirs of Dubai would learn from their past mistakes after Dubai’s artificial ‘The World’ archipelago surrendered its sands to the sea, but sinking islands and rising tides have yet to flag the Arab emirate’s ambitions of world building. 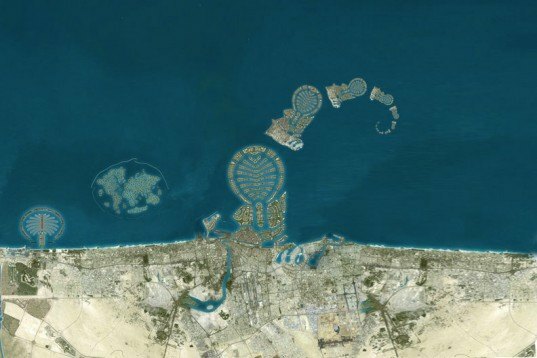 Aerial photographs recently revealed that Dubai has been hard at work creating a new island – one shaped exactly like Dubai’s city center, but 1/3 the size. 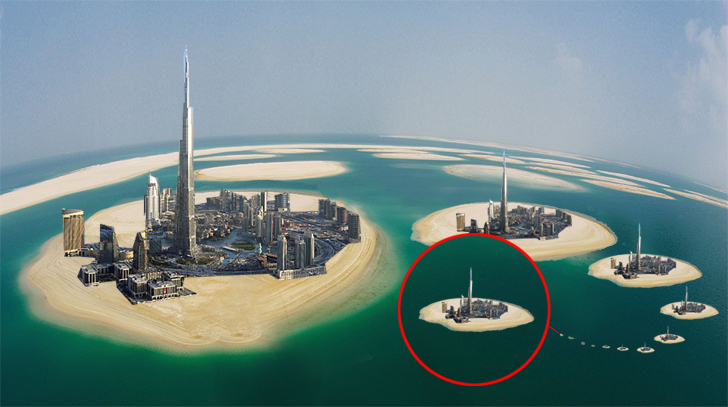 That’s not all – closer inspection of the photos shows that a smaller island shaped like Dubai is located off the coast of that island, and an even smaller Dubai-shaped island lies off the coast of that one! Dubbed Dubaisland, Dubaisland Island, Dubaislandisland Island, ad infinitum, the micro cities will feature commercial and residential zones – and each will come complete with a scale model of the Burj Khalifa. 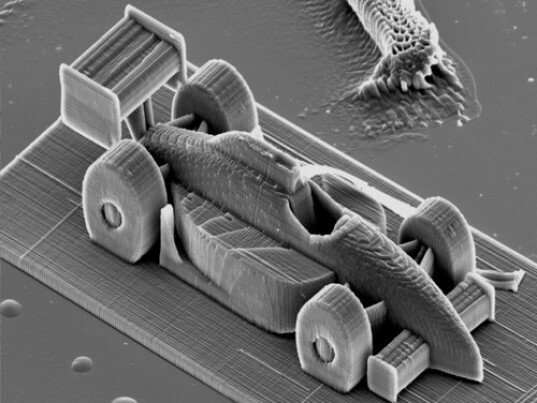 Scientists in Dubai are also currently perfecting the art of 3D printing nano-size buildings, race cars, and bridges for the islands smaller than the eye can see. The islands too small for human habitation will be reserved for the Dubaislanders’ dogs, cats, miniature giraffes, fleas, and bacteria (in order of magnitude). April Fools! or is it?? One might think that emirs of Dubai would learn from their past mistakes after Dubai's artificial 'The World' archipelago surrendered its sands to the sea, but sinking islands and rising tides have yet to flag the Arab emirate's ambitions of world building. Aerial photographs recently revealed that Dubai has been hard at work creating a new island - one shaped exactly like Dubai's city center, but 1/3 the size. That's not all - closer inspection of the photos shows that a smaller island shaped like Dubai is located off the coast of that island, and an even smaller Dubai-shaped island lies off the coast of that one!